London’s Design Museum is seeking a commuter cyclist to be an ambassador for its new exhibition, which opens in November. The Design Museum in London is to open a cycle-themed exhibition in November. Cycle Revolution will feature the people and machines that make contemporary cycling what it is, and will also ask how it might develop in the future. Cycle Revolution brings together dozens of bicycles, from some of the finest manufacturers including Pinarello, Brompton and Boardman Elite; high-end kit and accessories from Rapha, Vulpine and others; personal pieces belonging to celeb cyclists including Sir Chris Hoy and Sir Paul Smith; as well as specially-commissioned film and photography to tell the powerful, personal and sometimes remarkable stories of cycling today. 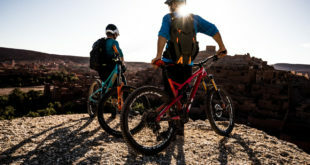 Cycle Revolution subdivides cycling into four “tribes” – the High Performers who reach Olympic speeds, the Thrill Seekers who take on all terrains, the Urban Riders who pedal in cities, and the Cargo Bikers who schlep stuff by cycle. The tribes will also each represented by ambassadors, chosen to embody their particular cycling lifestyle. 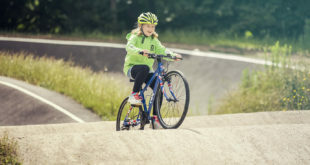 The ambassador for the Urban Riders will be selected through a global competition which asks city cyclists to put themselves forward to feature in the exhibition. Entries open today and will be accepted until 24 August. Cycle Revolution will also look at changes in manufacturing techniques and innovation in use of material and design. A large-scale recreation of a frame workshop will show how bespoke bikes are made. The workshop will feature interviews with some of the UK’s most in-demand frame makers. The exhibition will also peer into the future of cycling – how it is changing the infrastructure of the city, and how designers and urban planners are responding to the needs of 21st century cyclists, from concerns over safety to the development of new technologies and concept bikes. 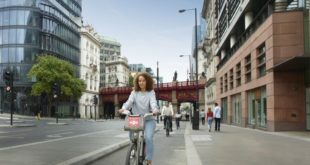 “When as little as a ten per cent rise in cycling to work would transform Britain’s cities, and where wearable devices such as helmet cameras allow for the recording of every interaction, how can tensions between motorists, pedestrians and cyclists be usefully resolved?” asks the Design Museum. However, the exhibition will be opened with a cavalcade of period bicycles and tricycles that will be ridden from the Herne Hill Velodrome to the museum on Saturday 24th October. The ride – organised with the Veteran-Cycle Club – will feature over fifty riders in the period dress riding in historical order on bikes ranging from draissines up to the very latest in lightweight machines. Cycle Revolution will be staged 18th November to 30th June 2016.